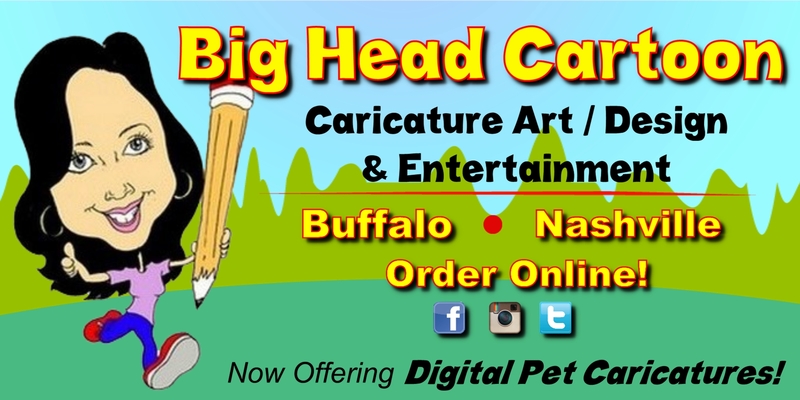 BigHeadCartoon, is a full service entertainment company servicing clients in Western New York, Nashville, TN & through out the country via our Online Store! 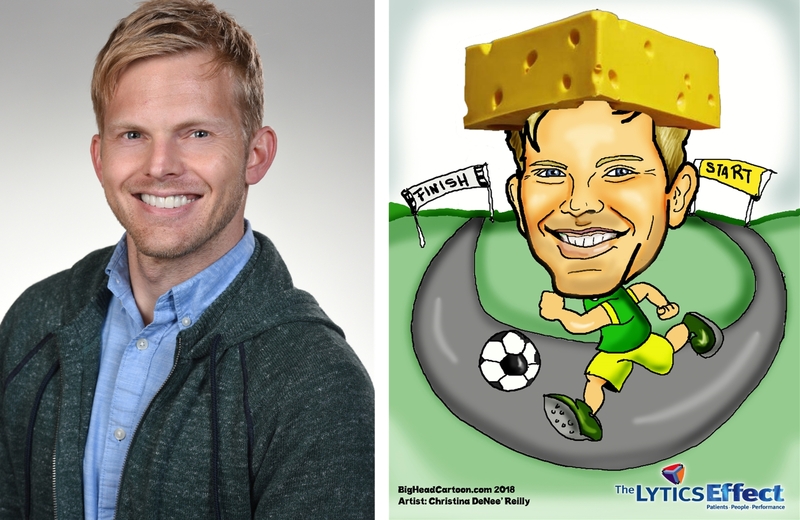 Specializing in High Volume Private Parties, Corporate Events and Team Building. 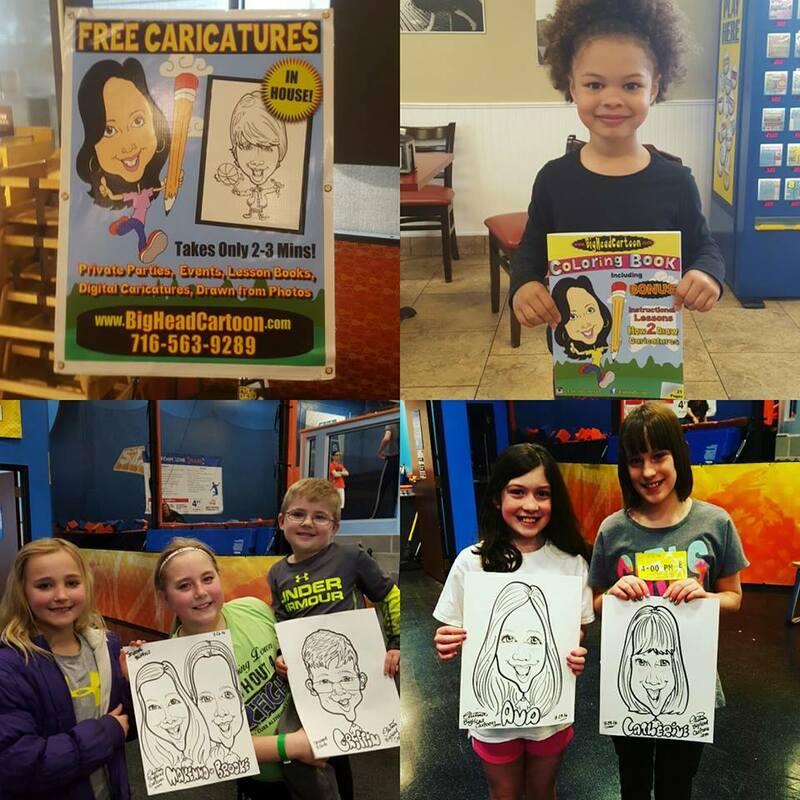 Now offering multiple Caricature Artists, Balloon Artists, Face Painters, Magicians as well as a Caricature Art & Live Drumming DJ package called "Big Heads & Beats". BHC has partnered with Moe's Southwest Grill, Cracker Barrell & Pucketts Nashville to offer full Catering Options for their event clients. 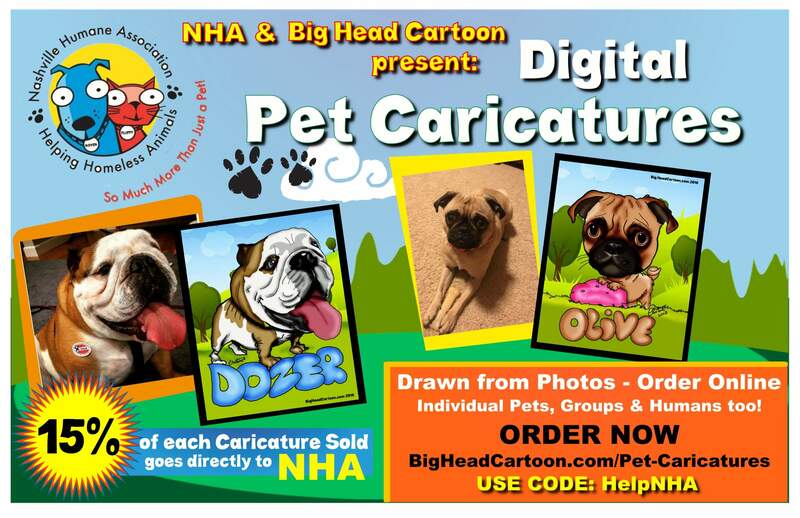 Owned and operated by Artist Christina DeNee', since its official start in 2009 in her hometown of Buffalo, NY; Christina has quickly become the most in demand caricature artist in the Western New York Area and as of Fall 2018, has expanded to also service the Nashville, TN area! 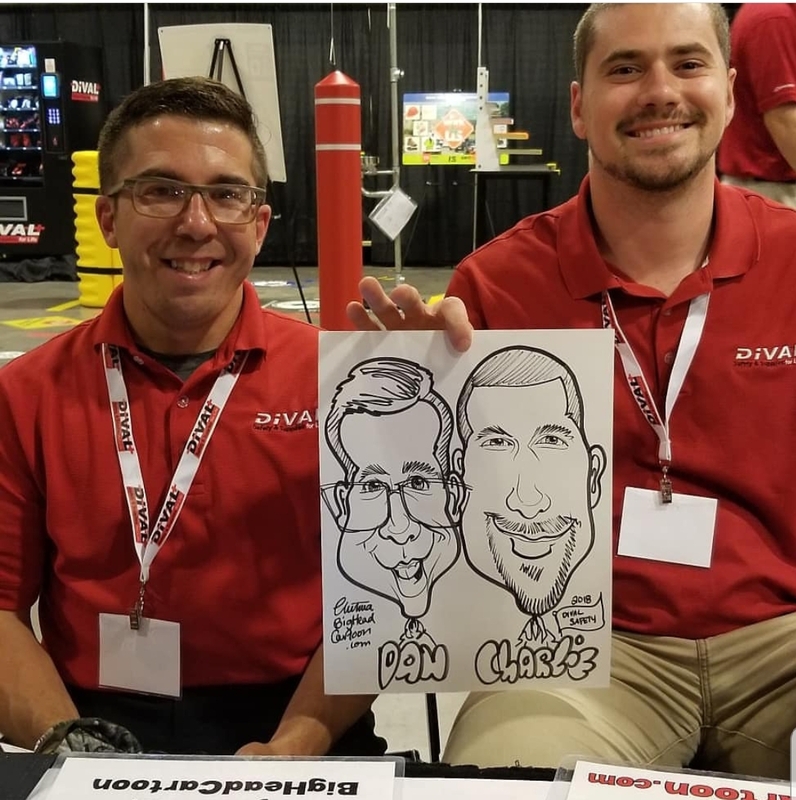 Drawing professionally for over 15 years now, BHC artists & entertainers can be found at local restaurants, private parties and corporate events and conferences. 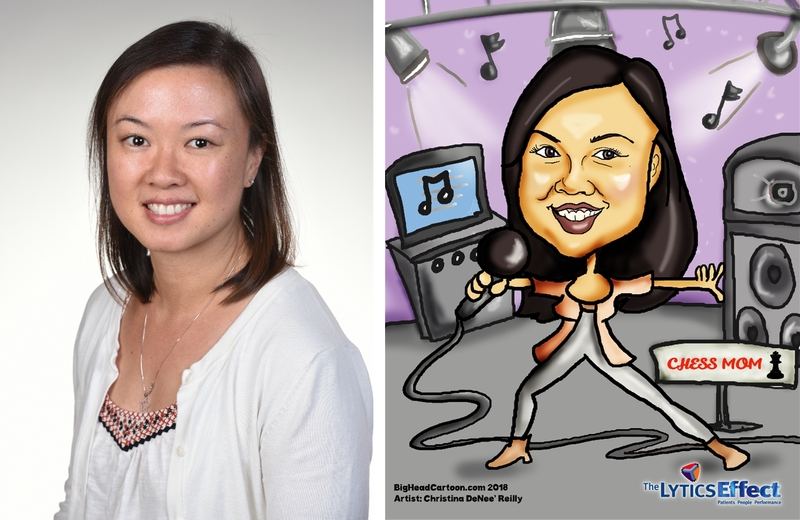 Also a successful professional recording artist & performer in the Alt Rock/Pop Duo "BREAKERBOX"; (SEE HER MUSIC VIDEO ) Christina provides custom digital art, corporate caricatures, custom coloring book & logo design as well as PEOPLE and PET CARICATURES drawn from photos via her online store- servicing clients around the Globe. 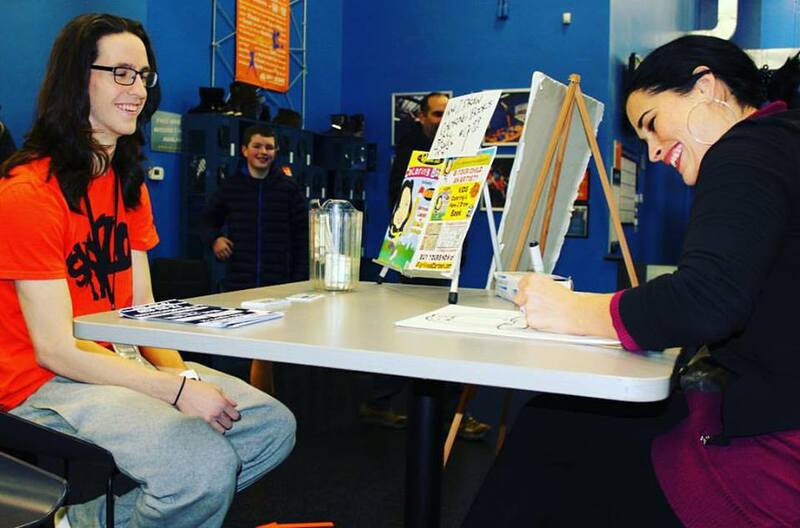 In 2014 she released her "BigHeadCartoon How 2 Draw Coloring Book" and was featured on WKBW Channel 7 News Buffalo (SEE NEWS VIDEO ) for her efforts. A 21 Page Workbook, it contains 15 pages of her own work for coloring fun and 6 pages of step by step Art Lessons. 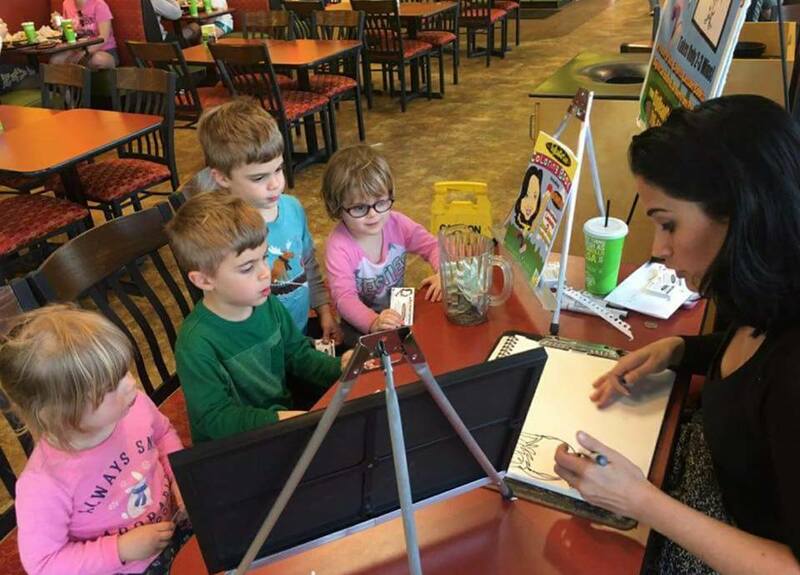 She has appeared at numerous local schools teaching the workbooks, and provides content creation for numerous local & national business and marketing companies. Please feel free to contact Christina with any inquiries for workshops, parties or personal artwork. 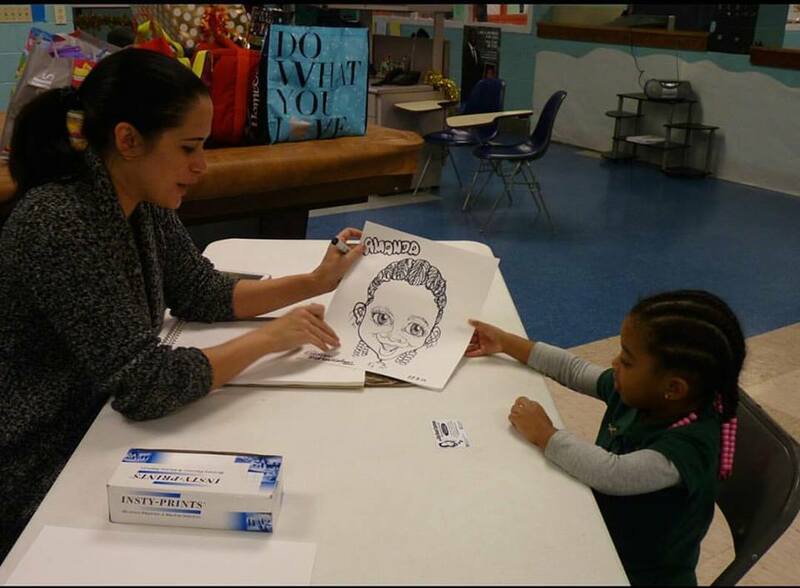 For private parties & events Christina has a number of Artists, Balloon Makers, Magicians & Face Painters on staff to ensure your entertainment!